V2 Cigs is having a BIG April promotion...with a huge 4-day e-cigarette sale! The sale gives you a full 20% off everything, storewide! 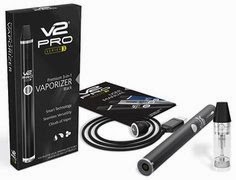 The V2 Cigs sale starts today (April 24th) so don't wait! So don't wait around! Head on over to V2 Cigs now and get some awesome savings while the sale lasts! "Could you guys possibly do a Halo G6 review for everyone? It's awesome and more vapers should know about it! As a long-time vaper I can say that the G6 is definite must-have. So could you guys possibly do one sometime?" 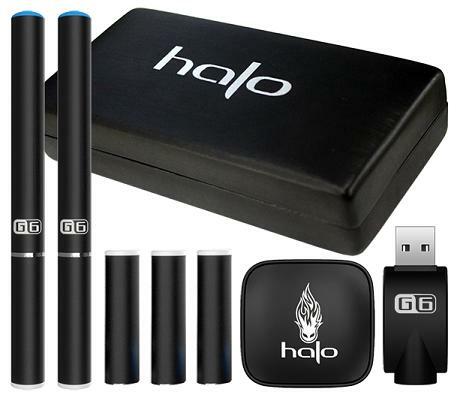 The Halo G6 Starter Kit by Halo Cigs gives you everything you need to start vaping (like a pro) immediately. The sleek look and feel of the Halo G6 batteries, with their glowing LED tip lights and brushed nickel accents, offer a truly sophisticated look and will match any style. 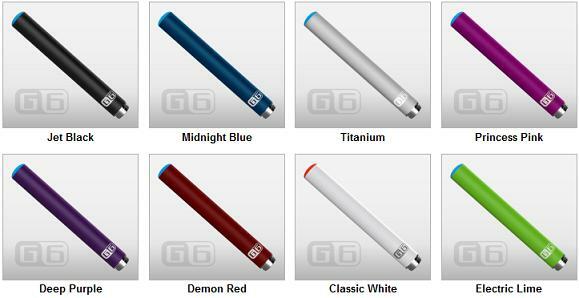 The G6 is similar in size to a traditional analog cigarette and is perfect for vapers who are looking for a compact e-cigarette device. 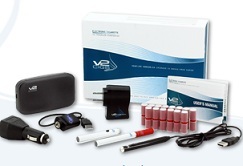 It's especially ideal for new vapers and those wanting to get started with e-cigarettes. The Halo G6 e-cigarette is sophisticated, elegant and beautiful. Its compact size offers both the feel and the familiarity of a traditional cigarette. This is especially perfect for those who want to make a super easy and seamless switch from smoking to vaping. Vapor production of the Halo G6 is absolutely awesome. It's got a smooth draw and a really good throat hit. It's a pleasure to vape and really does produce a lot of vapor. It's quite impressive, indeed. As for the overall performance, let's just say that we're beyond impressed. Honestly, there isn't a single negative thing we can say about it. The vapor production is great, and the batteries really, really last. Truth be told, Halo's G6 batteries definitely last quite a bit longer than other e-cig batteries of similar size. So all in all, vapor production and performance of the Halo G6 gets an easy 5 out of 5 stars. 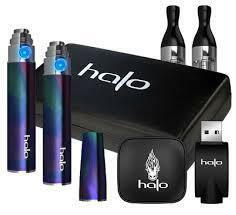 The Halo G6 Starter Kit offers you several choices when it comes to what batteries you want with your kit. There are several battery colors to choose from, as well as the option to have automatic batteries, manual batteries, or one of each. Additionally, you can choose your battery size as well. The options are the 65mm Mini battery and the 78mm Standard battery. Note that the 78mm battery will last you longer (300 puffs per charge) than the 65mm battery (200 puffs per charge). The batteries have a real "premium feel" about them. They have a "rubberized" non-slip finish that not only feels good between your fingers, but also looks really great as well. The rubberized finish helps to prevent them from slipping out of your hands accidentally. Too bad more e-cig brands don't utilize such premium finishes. Additionally, the Halo G6 battery has brushed nickel accents that really set them off, aesthetically. The accents are a nice design element and certainly add some extra coolness to G6's overall appearance. 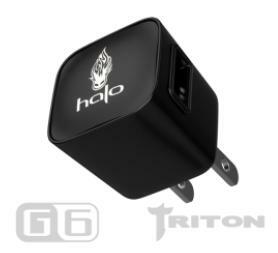 The Halo G6 starter kit also comes with the the Mini Wall Charger, which charges your G6 via any standard 110v (USA) outlet. The wall charger works in conjunction with the USB charger. Charging is fast and easy. To charge your G6 batteries, simply screw the battery into the USB Charger and plug it into the USB port on the wall charger. Then, just plug it into a wall outlet. The starter kit also comes with Halo's USB Charger. 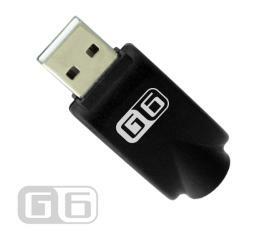 The USB charger allows you to charge your G6 by simply plugging it into any USB port. In other words, you can charge it via your laptop, your desktop computer, Xbox, PS3, etc. The USB Charger will plug into any standard USB port. The LED tip light of the battery will stay lit while it's charging, and will go out when charging is complete. The USB Charger is cool and convenient, and allows you to charge your G6 e-cig with various electronic devices via their USB ports. The G6 starter kit also includes a pack of cartomizers (a 5-Pack) in your choice of flavor and nicotine strength. 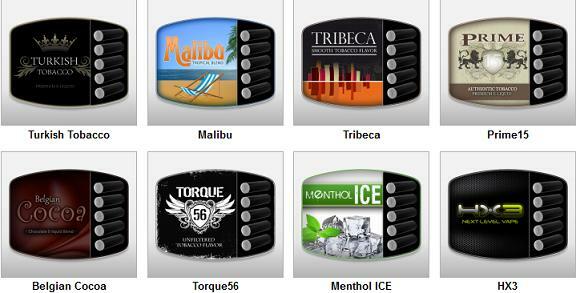 The current flavor choices are: Turkish Tobacco, HX3, Belgian Cocoa, Prime15, Malibu, Menthol Ice, Torque56 and Tribeca. The nicotine level options are: 24 mg (XHigh), 18 mg (High), 12 mg (Medium), 6 mg (Low) and 00 mg (No Nicotine). 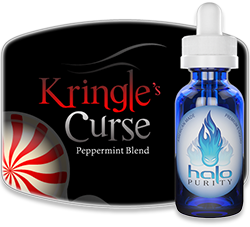 Note: Of course, Halo Cigs also offers many other flavors in their e-liquid. 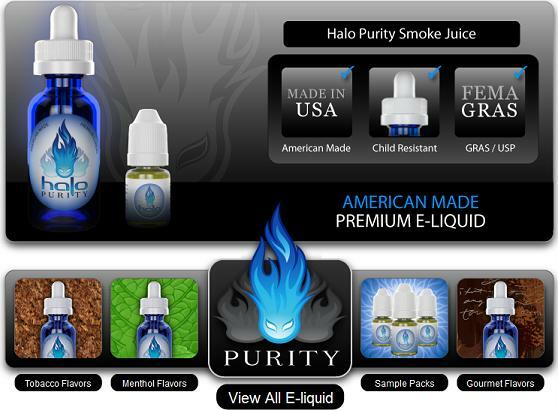 Currently, there are over 20 different awesome e-liquid flavors to choose from - and of which are Made in the USA. Also available are the awesome G6 Mini Tanks (clearomizers). Basically, the Mini Tanks give you a higher performance solution over standard cartomizers. You can easily fill and refill these clearomizers with the e-liquid of your choice and enjoy vaping to its fullest. The Halo G6 Mini Tanks hold 1 ml of e-liquid and are extremely easy to fill. To fill the Mini Tank, simply unscrew and remove the black mouthpiece, drip your e-liquid into the tank (avoiding the center hole of the coil assembly), and screw the mouthpiece back on. It's that simple! Ah, the moment of truth. Are you ready? Without a doubt, the Halo G6 starter kit is awesome all around. 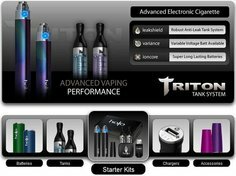 It's been a long time since we've been so impressed by an e-cigarette starter kit in regard to performance, price, reliability, options and ease of use. • Product quality: Excellent. Top quality all around. • Vapor production: Excellent. Lots of thick vapor. • Battery life: Excellent battery life. Easily lasts all day or longer. • Appearance: Sleek and very attractive for sure. And if you don't want to take just our word for it, be sure to check out the Halo G6 reviews from other vapers who've purchased it! 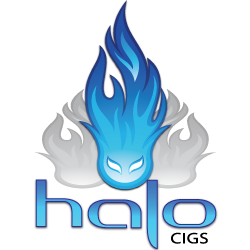 -Just look to the right of the 5-star rating and click the "Reviews" link to read the reviews from actual Halo customers. Note that each G6 Starter Kit color has its own set of customer reviews. 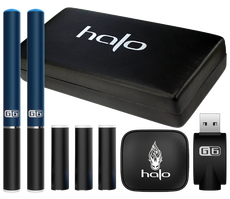 Bottom line, if you're looking for an e-cigarette that performs really, really well, then be sure to check out the Halo G6. A couple weeks back I wrote about California bill SB 648, a ridiculous bill that would declare e-cigarettes as "hazardous to the health of the general public" and include them in all future smoking bans passed in California. SB 648 UPDATE: The Senate Health Committee moved SB 648 out of committee on April 17th by a 6-2 vote. SB 648 is now scheduled for a hearing before the Senate Judiciary Committee on April 30th. The hearing takes place at 1:30 PM in room 112. How To Help Stop This Bill! If you're a California resident, be sure to submit (or resubmit) your testimony in opposition to SB 648 by emailing it directly to the Judiciary Committee at: ronak.daylami@sen.ca.gov. Also, be sure to put "SB 648 Testimony" in the subject line and include your name and city. 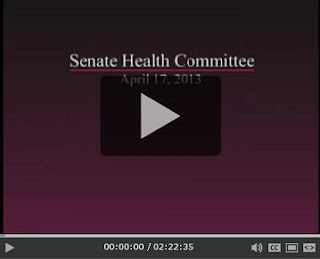 Video: To watch the hearing on SB 648 that took place on April 17th, click below (the portion covering e-cigarettes begins at the 34:16 minute mark). CASAA Legislative Director, Gregory Conley, was a featured speaker, as was Father Jack Kearney of the California Association for Alcohol & Drug Educators (CAADE). You can keep up-to-date on California bill SB 648 by checking this site. We'll add updates as we get them. Also, be sure to check out the CASAA blog post on this matter and follow them on Twitter (@CASAAmedia). CASAA (Consumer Advocates for Smoke-free Alternatives) is a non-profit organization that works to ensure the availability of reduced harm alternatives to smoking. In other words, they're working hard to protect us vapers! CASAA'a blog is the go-to source for the most up-to-date information regarding proposed laws regarding e-cigarettes and their use. And so, and in order to make things as easy as possible for you to find and read, I spent the last two days going over this site (very meticulously) and identifying certain areas that I could improve upon for you. But as painstaking as it was, I finally completed most of those changes. -Btw, it's 7:37 a.m. right now...and I haven't even been to sleep yet. • E-liquid & Flavor Cartridges - URL change and page title change. Also updated and improved page content and overall layout. • FAQs - URL change and page title change. Also improved page content. So yeah, that's all been completed. Obviously, I worked on them first since they're the "main navigation" pages for the site. Please report any dead links by leaving a comment below! Since I changed so many URLs, I'm sure there's at least a couple dead links are hiding around here somewhere. Such is the nature of site upgrades like this. Anyway, I hope these changes make things a whole lot easier for you when it comes to reading reviews and news and finding the things you're looking for.